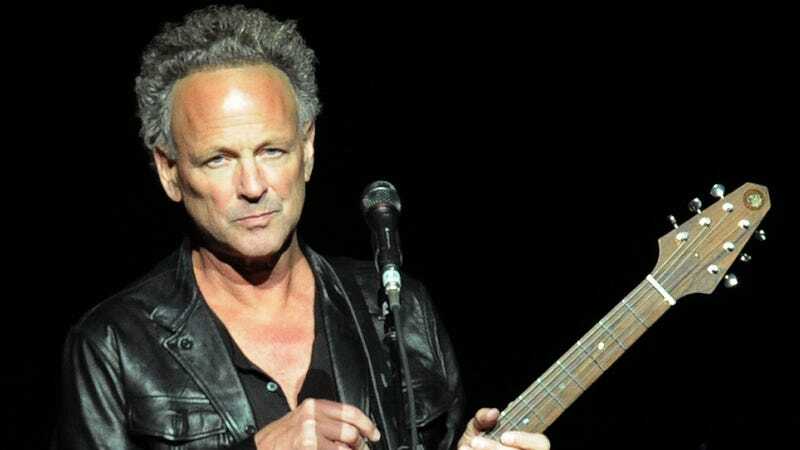 Lindsey Buckingham, guitarist, singer, and one of the principal creative forces behind ‘70s supergroup-turned-21st century hipster favorite Fleetwood Mac, has been fired from the band, according to Rolling Stone. Buckingham’s departure was reportedly hastened by a disagreement over the band’s upcoming tour. Although Fleetwood Mac didn’t officially acknowledge it until today, the news unofficially broke last week, when guitarist Billy Burnette—one of the guitarists who stood in for Buckingham on tour the last time he left Fleetwood Mac, from 1987 to 1996—tweeted, “Breaking news: Lindsey Buckingham is out but I’m not in” in an apparent attempt to get his old gig back. That tweet was swiftly deleted. And, perhaps unsurprisingly, Burnette didn’t get the gig. Instead, longtime Tom Petty and the Heartbreakers guitarist Mike Campbell and Crowded House’s Neil Finn will replace Buckingham on Fleetwood Mac’s upcoming tour. (It should be noted that both times Buckingham has left Fleetwood Mac, it’s taken two musicians to replace him; Campbell and Finn this time around, and Burnette and Rick Vito in the late ‘80s and early ‘90s.) Campbell in particular has a history with the remaining members of the group, as The Heartbreakers served as Stevie Nicks’ backup band on her 1981 Bella Donna solo album; Campbell also co-wrote that album’s first single, “Stop Draggin’ My Heart Around,” with Tom Petty. Buckingham joined Fleetwood Mac in 1974 alongside Stevie Nicks, with whom he had recorded the album Buckingham Nicks the year before. Their breakup a few years into their tenure with the band is chronicled in 1977's Rumours, one of the biggest-selling albums of all time. Buckingham was also a driving force behind the group’s 1979 double album Tusk, which featured a more experimental sound influenced by Buckingham’s love of The Clash.